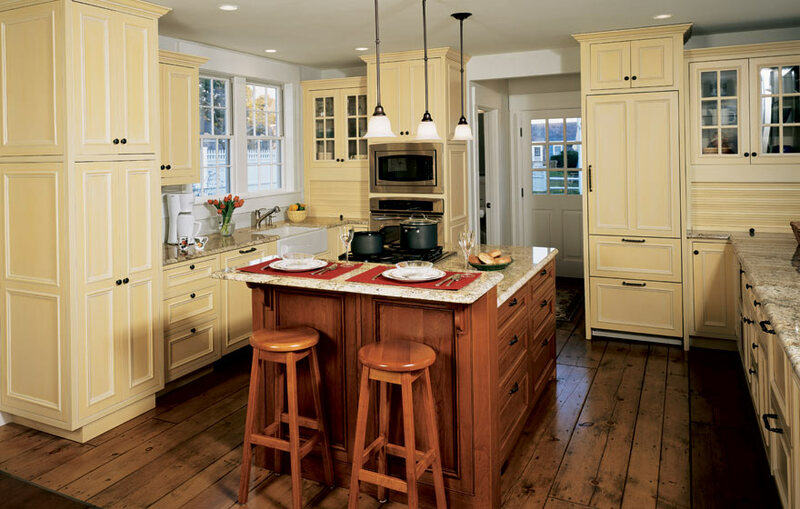 The subtle yellow paint and natural sunshine is light, airy, and inviting. 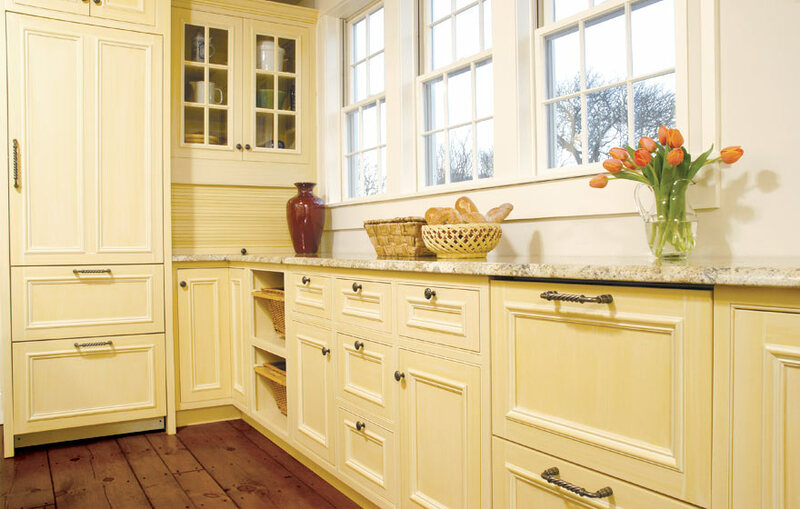 Finish 1: Buttercream WBF with a Custom White Glaze application can achieve a similar look. 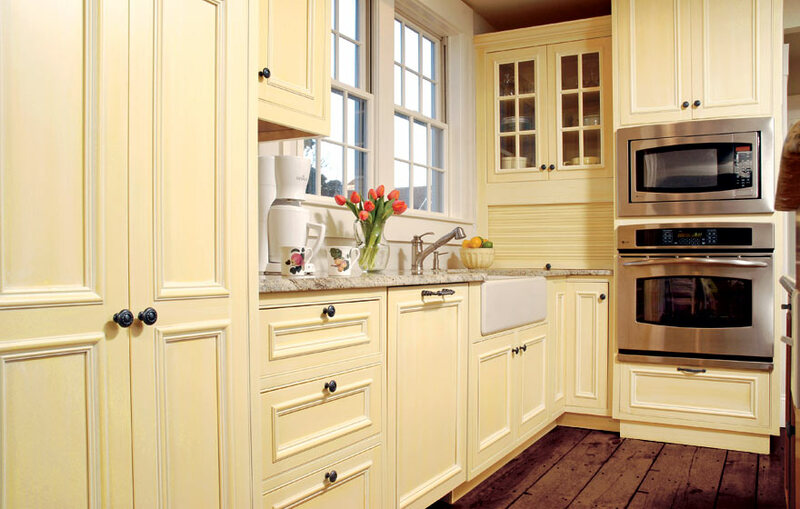 A custom color match could also be done to add more yellow tones if desired. 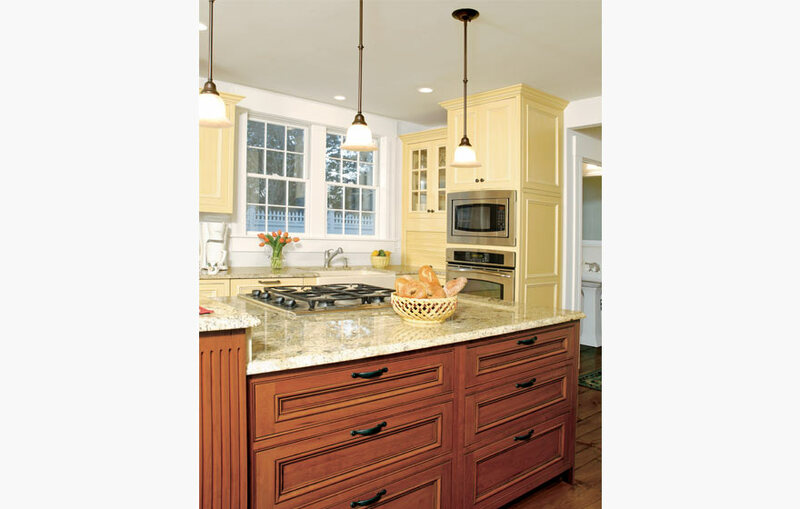 San Marino 3/4" French Lite (580F) Doors with 945 mullions were used. Clear 4mm Glass Inserts (3600) can achieve a similar look. 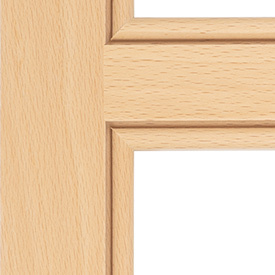 1/4" Bead Frame (FE-7) Designer Face Frames and Crown Molding C (8106) could achieve a similar look. The indicated product is recommended to achieve a similar look but was not used in the gallery shown.